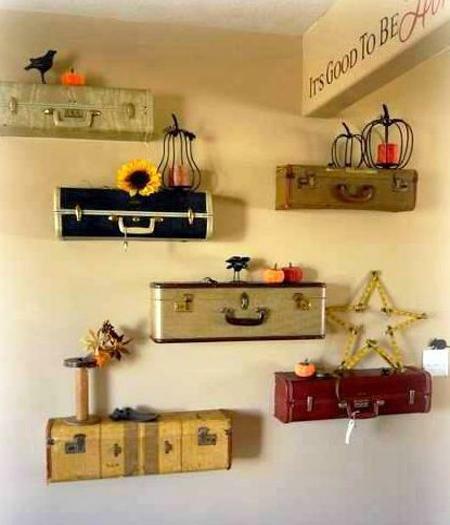 Interior decorating with suitcases in vintage style is eco friendly and creative. 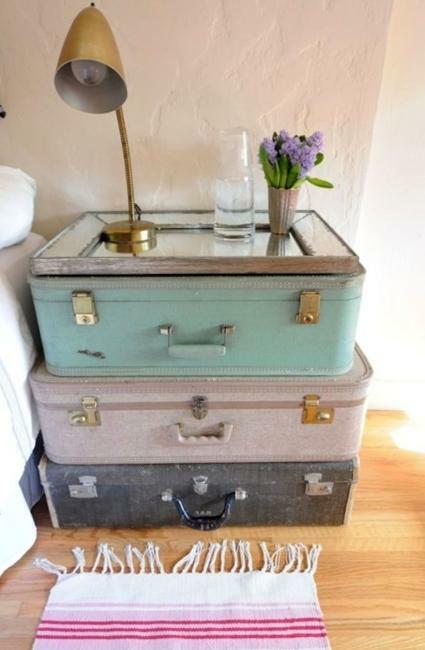 Old suitcases bring unique color, texture and design into modern interior decorating and add accents in vintage style that are super modern, nostalgic and romantic. 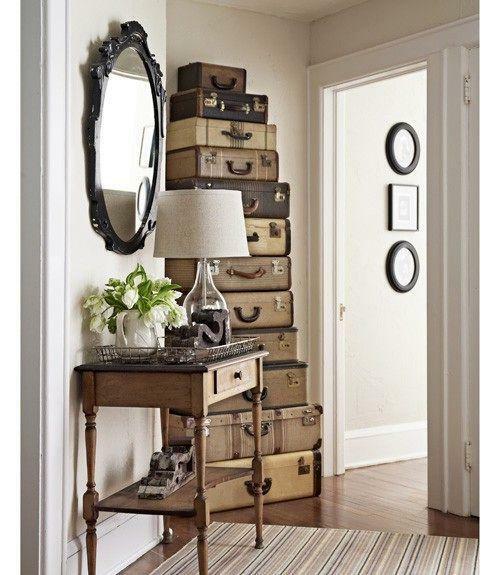 Many people are afraid of adding vintage items, especially suitcases in vintage style to their homes. 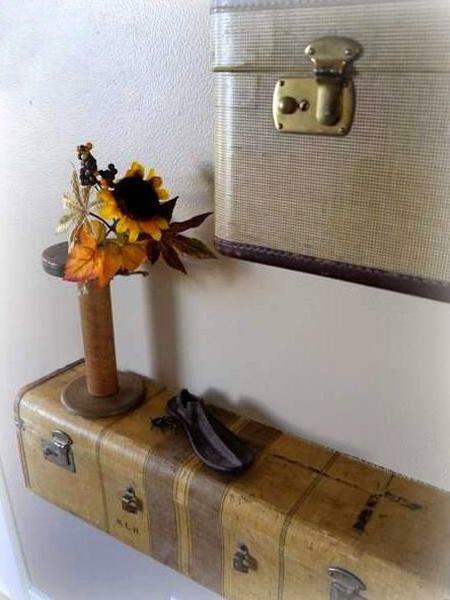 Decor4all shares tips and inspirations for you to create beautiful room furniture and home decorations while recycling suitcases in vintage style. Color, texture and unique design are three ways to make modern interior decorating interesting. 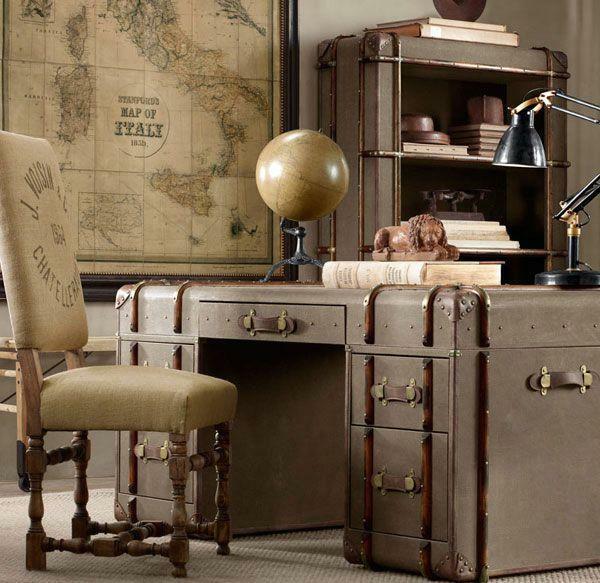 Old suitcases in vintage style can help add color, texture and unique design to room decor and enrich interior decorating with amazing accents in vintage style. 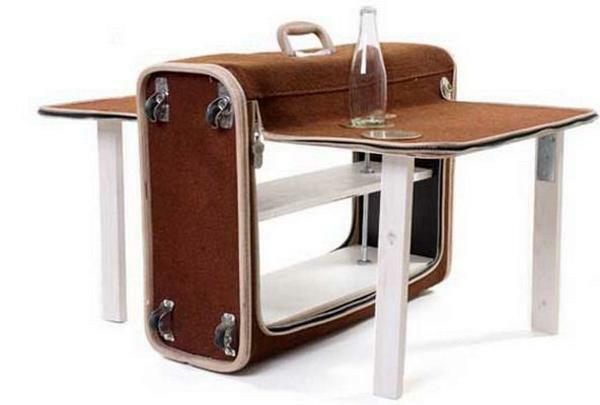 Handmade furniture, home organizers and decorations recycling old suitcases make modern interior decorating very personal. All colors inspire emotions. 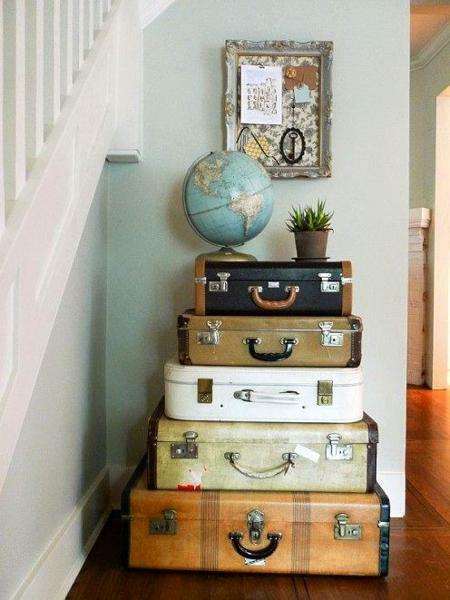 If your suitcases are in neutral colors you can paint them any bright hue. 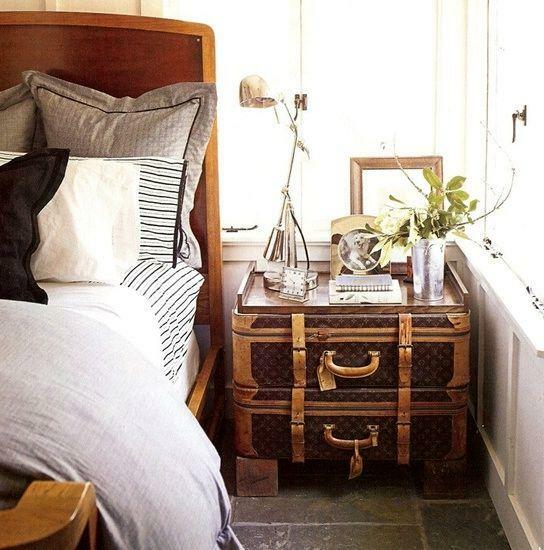 Accent color can add drama to modern interior decorating or create calming and relaxing atmosphere which is perfect for bedroom decor. 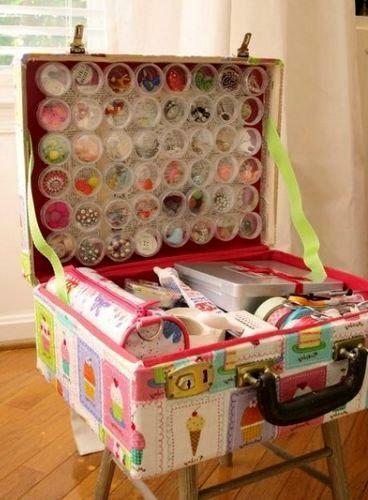 Recycling old suitcases for colorful furniture and decor accessories is easy and inexpensive way to experiment with different color design ideas and refresh your room decor. 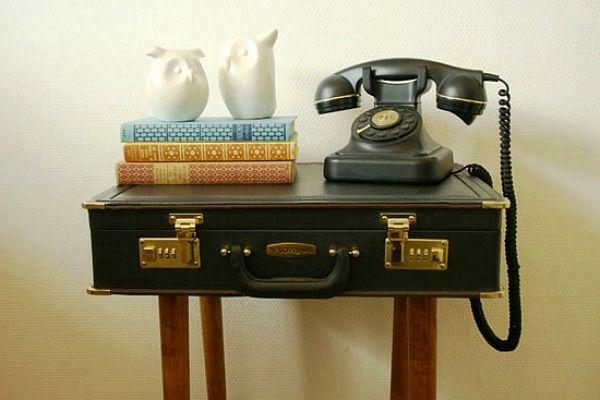 Unique design, shapes and details of old suitcases are another way to accessorize interior decorating. 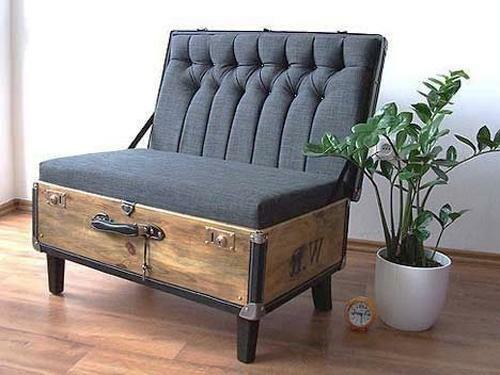 Handmade furniture, wall shelves, modern chairs, tables and home organizers made of old suitcases are wonderful items for accentuating your beautiful room decor. 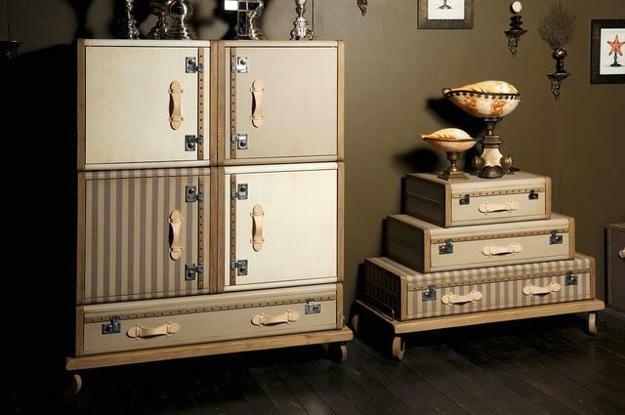 These home decorations in vintage style are great for contemporary home interiors, shabby chic decorating and room decor in vintage style. Textures are an important element of modern interior decorating. 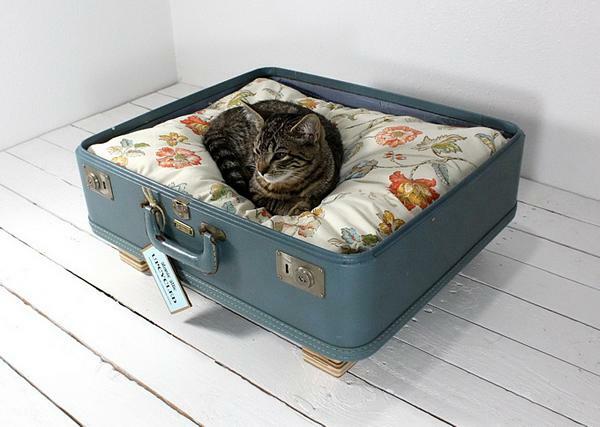 Your eye is naturally pleased by lots of different textures, and old suitcases can help create a nice variety of textures in your room decor. 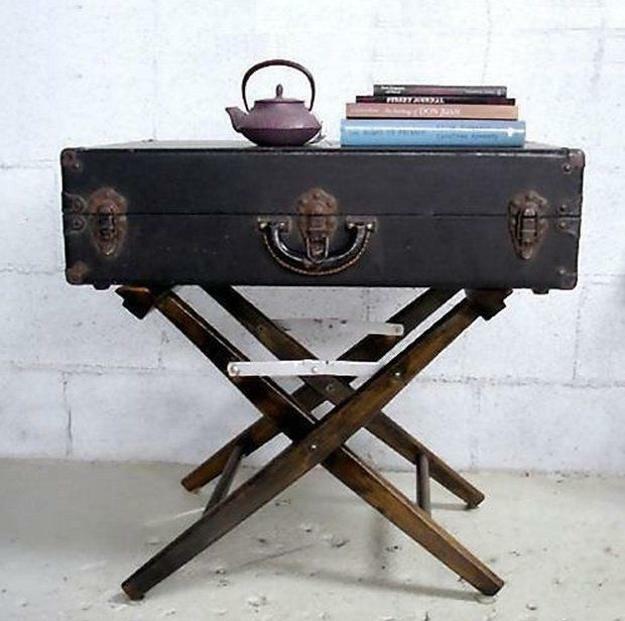 Metal parts and leather, cardboard and fabrics, old wood of trunks and even plastic details of retro suitcases give plenty texture to interest the eye. 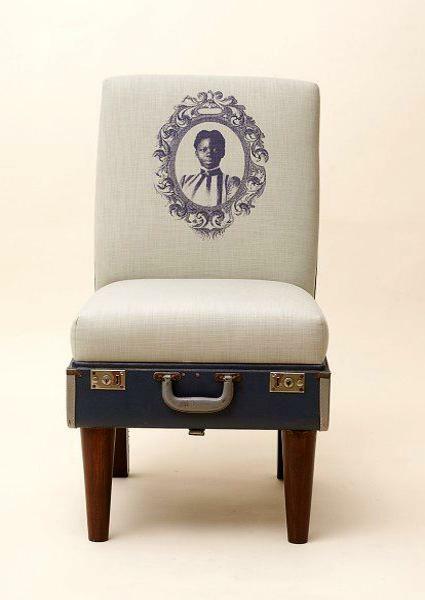 Shapes on suitcases in vintage styles provide fabulous ideas for recycling them. 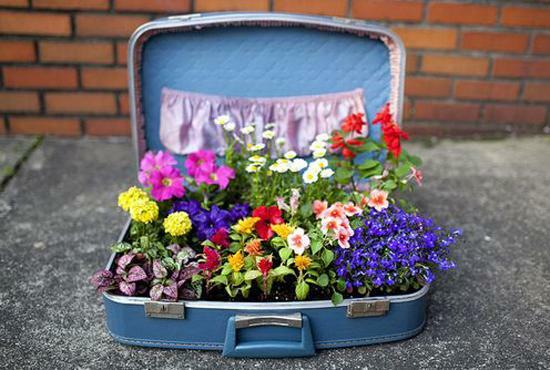 Flower beds and garden decorations, like displays and art installations, room furniture, shelves and tables are just a few ways to reuse and recycle vintage suitcases for modern home decorating. 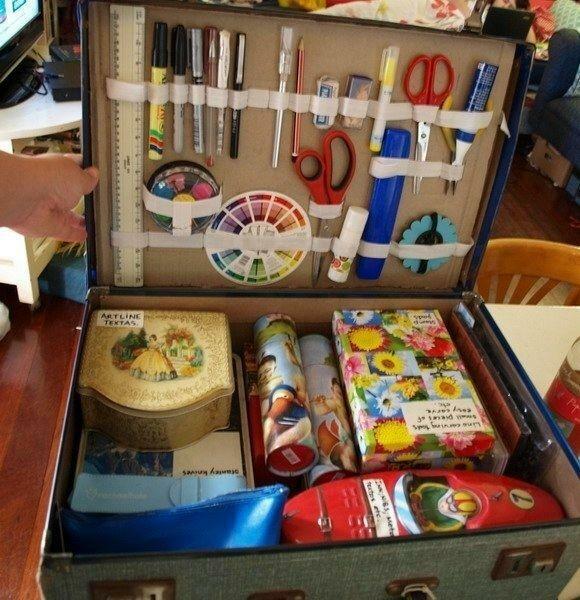 Let your eye travel between various shapes and surprise it with bright colors or creative design of your handmade suitcase items in vintage style.